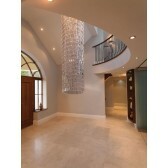 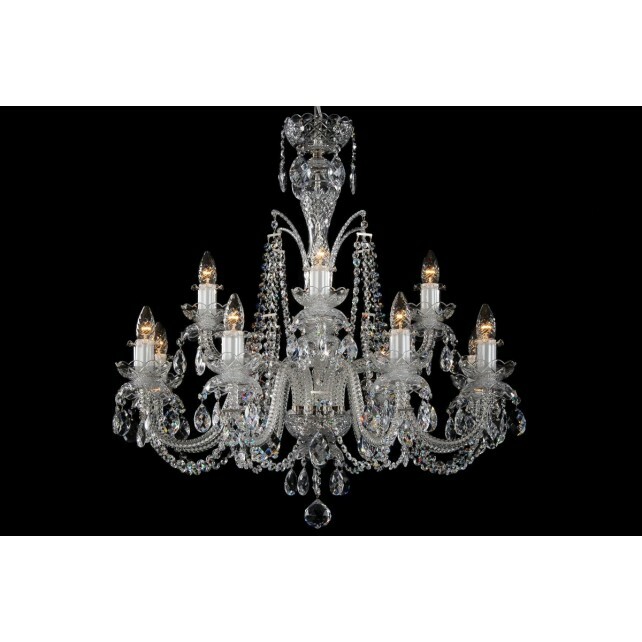 A twelve-light crystal chandelier complemented by two dishes on each arm. 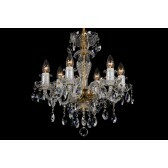 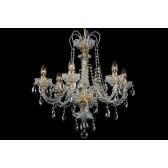 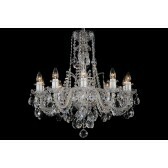 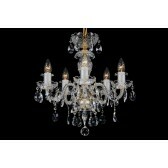 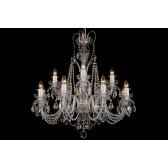 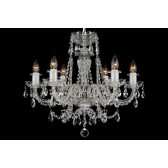 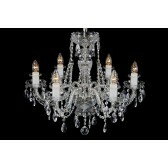 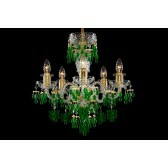 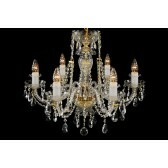 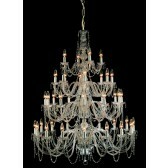 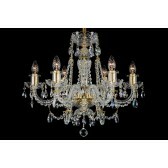 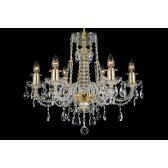 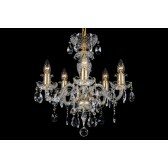 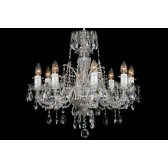 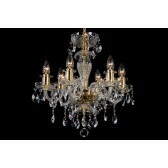 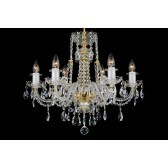 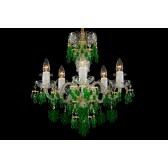 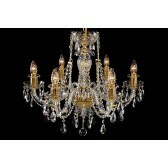 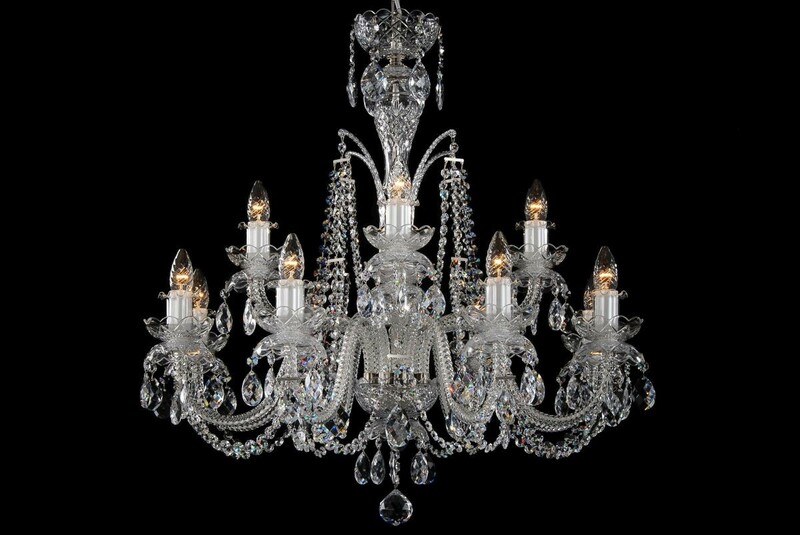 The chandelier is decorated with crystal chains and a high crown in the middle part of the chandelier. 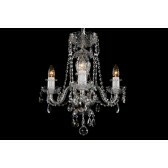 The neutral glass together with silver metal parts allows variable use of the chandelier regardless of the colour and interior decoration. 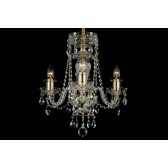 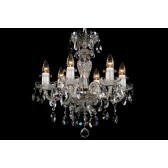 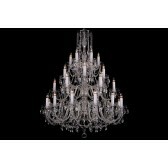 This chandelier can be combined with larger eighteen-arm chandeliers of the same design or complemented by two-arm crystal wall lamps of the same colour.